With only a few exceptions, any location within a house is actually suitable. However, you should make sure to choose a location where you can observe the animals comfortably from your favourite place. You should also be able to reach the terrarium for cleaning, feeding, etc. without going through contortions! Also make sure not to choose a location with a risk of overheating from sunlight such as a spot near a window. Attic flats which are very warm in the summer and barely cool off at night are not suited for keeping heat-sensitive species. Last, but not least, the weight bearing capacity of the surface under the terrarium must also be taken into account. 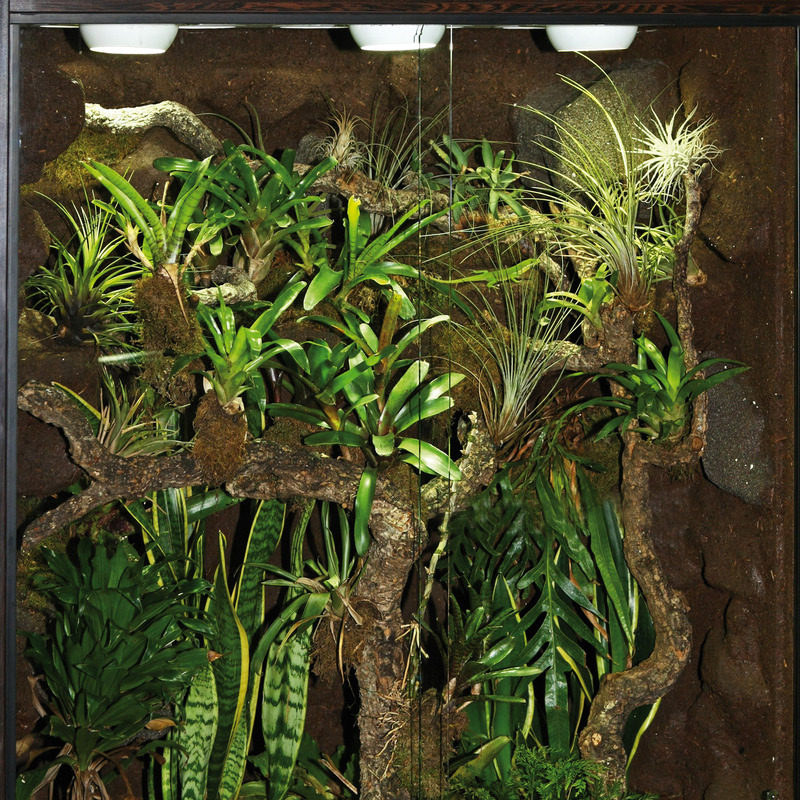 The climate in the terrarium is the most important factor for your animals‘ wellbeing. The animals will only be able to display their full repertoire of behaviour and lead a healthy life if the typical climate of their immediate habitat is reproduced as closely as possible through the skilful selection of equipment. 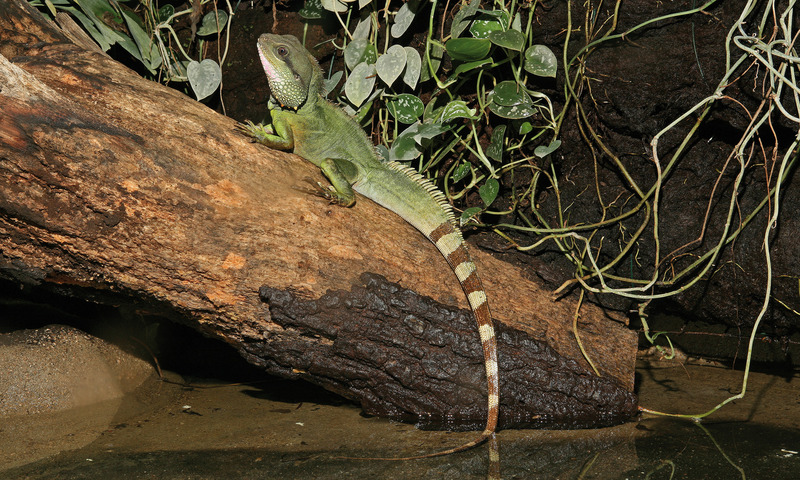 The temperature (of the air and the floor/substrate and of basking spots with high temperatures), lighting (duration, intensity and quality of light), the relative humidity and ventilation (air supply/removal) make up the most important climatic factors in a terrarium. As in the wild, the individual elements of climate influence each other and are subject to the changes occurring in the course of a day. The relative humidity normally decreases in parallel with an increase in the duration of operation of the lighting and heating equipment. This must be taken into account when selecting a terrarium. The individual climate parameters usually change quickly in a small tank, and therefore need to be optimised continually by the use of sophisticated control technology or repeated manual intervention. In large tanks, the climatic factors change much more slowly and it is easier to create zones with different microclimates (zones of different temperatures and humidities) so the animals can seek out places with the climatic conditions they prefer at a given time. Compartilhe este artigo com os seus amigos!